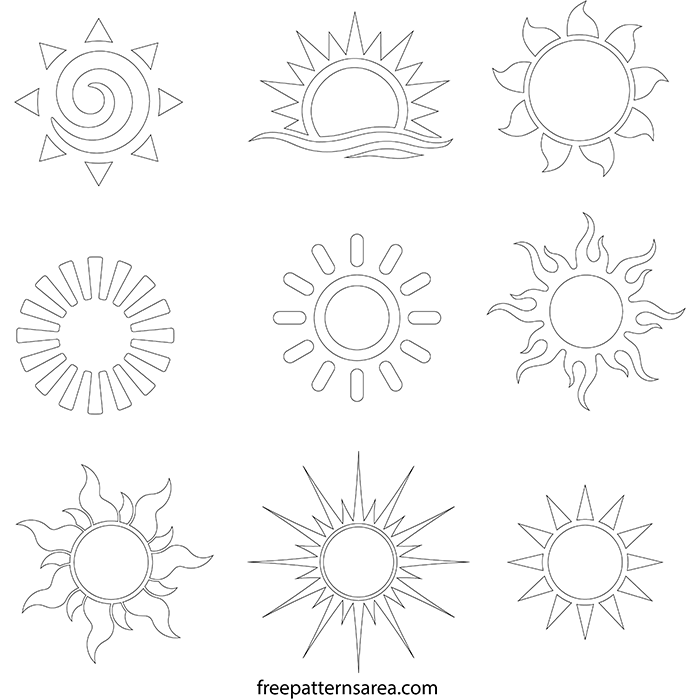 Sun Vector File | Free Printable Stencils Templates | FreePatternsArea. 9 different stencil clipart vector files and printable outline stencil files that can also be used as icons. 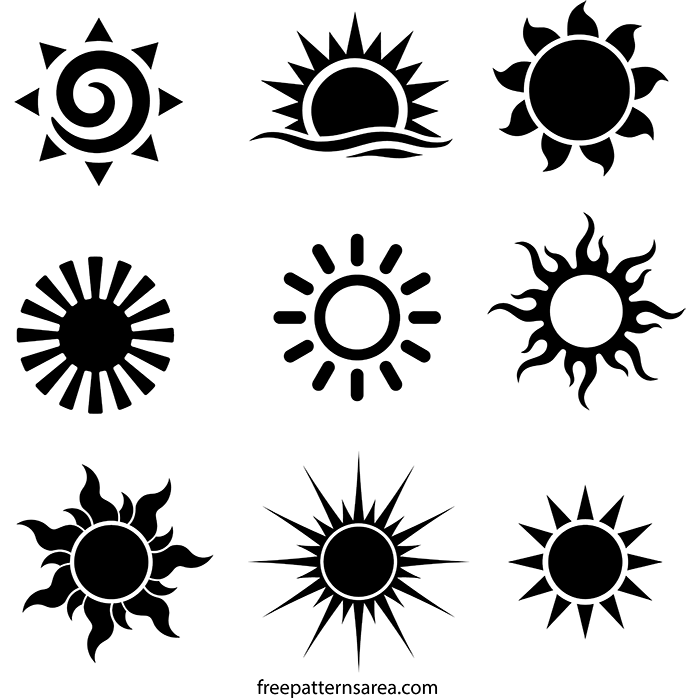 Sun images in 7 different file formats. You can download Eps, svg, dxf, png, pdf, dwg and stl sun files for free. The Sun is the center of the planetary system in which our Earth is located. It is the source of life for the world. The sun is a symbol to which important values have been attributed throughout human history. In many societies, it is the visible image of divine goodness. We find the sun as a symbol in countless works of art. Even if we do not think symbolically, we are reminded of summer and holiday, when we see images of the sun. It has positive associations on almost anyone. 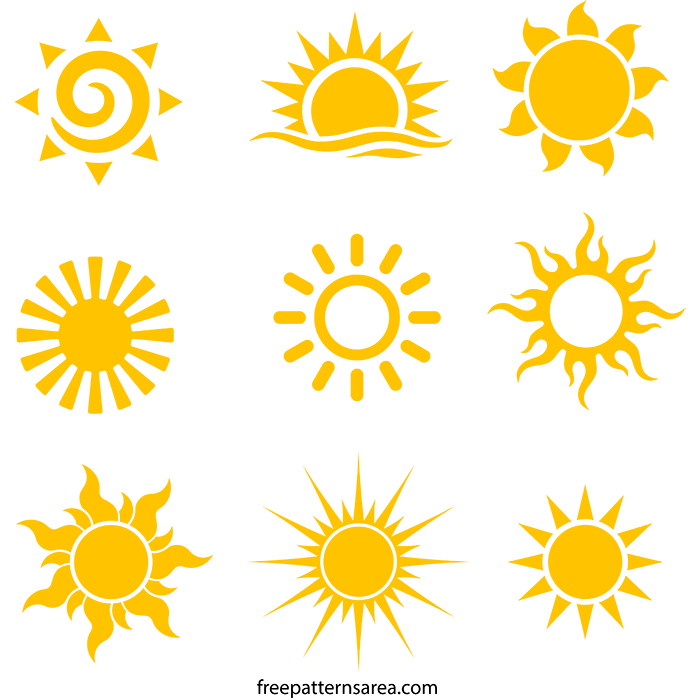 We have prepared 9 beautiful sun designs for you. You can use these designs in your various projects. The design’s files are printable and cuttable. You can cut off lots of materials by using these files in digital cutting machines. You can make stencil templates to transfer these patterns to a surface with paint. Perhaps you can use them as an engraver pattern. These templates can inspire you for many craft works of yours. You can download the eps sun vector file, if you want to use it on your graphic projects. If you are looking for png elements for Photoshop, these designs can be ideal for you. 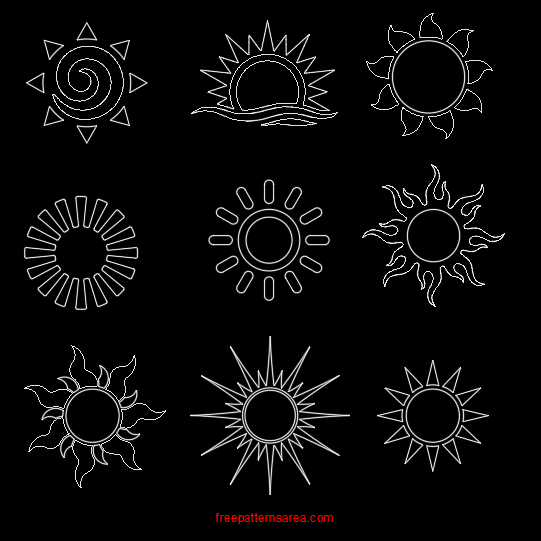 Download free sun vector stock files.